A crisp white shirt will always be a timeless classic, and the Camille Embroidered Blouse is a great update for the season. 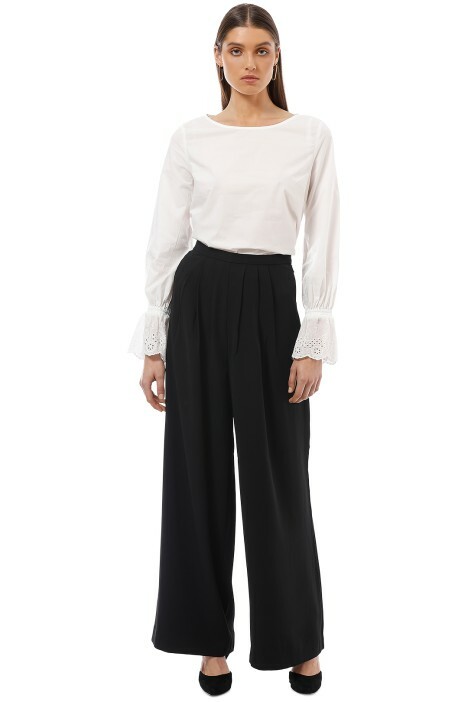 Made from 100% cotton, the chic white top features a round neckline and long sleeves with embroidered flare cuffs. Cut for a regular fit, hire this versatile top for a weekend brunch or a work function. Ease into the weekend by styling it with your favourite pair of jeans and tan block heels. Rent a black clutch to hold all your essentials. Complete your relaxed yet stylish look with a sleek ponytail and silver hoop earrings. Head to our blog for outfit ideas to wear during the weekend!